A Yeast Rambling and Personal Choice! I have a story to tell, a little ego crushing to be honest but first I have to make a statement…I use bread yeast and I like the way my wine tastes! The story goes something like this…The other day my wife and I had the opportunity to spend the day together (love those days). At any rate we decided to spend some time at one of our favorite brew stores. This one is a little further away but definitely one of our top two vendors. I don’t want to give the place away because i really love the place. The owner is sort of a mentor of mine without knowing it. I convinced the wife I needed to get another one gallon bottle set up. A mere $10 or $12 I told her. When the plastic went through the scanner the bottle set up cost $50, I couldn’t help myself and added a few odds and ends…wink, wink. I was lucky, just had back surgery the week before and my birthday the following week. I threw both cards on the table as bashfully as possible. In truth she doesn’t care and teased me mercifully about using the cards for an hour or two. Here is where the yeast comes in. During our banter with the owner, I mentioned we used bread yeast. Apparently he feels this is the biggest commit able sin in the book. 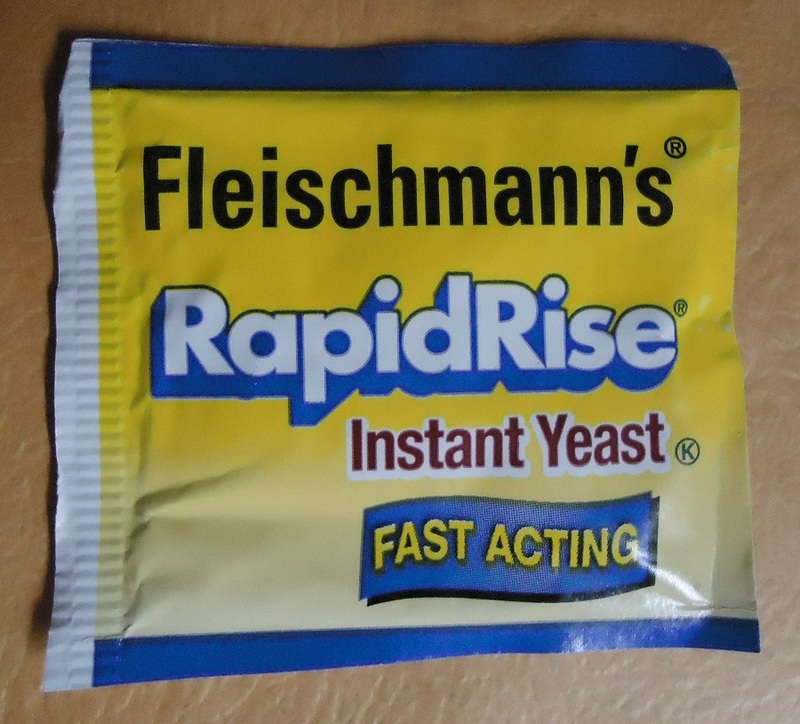 “Not Flieschmann’s!” he said “that stuff doesn’t even make good bread!” My secret mentor went on to say that the only reason Flieschmann’s yeast is even sold in grocery stores is because they owned most of the grocery stores around back in the day. “You have to use real brewer’s yeast” he continued. He added “If you are going to make bread you really should use Red Star!” I don’t normally take kitchen and recipe advice from a brewer but with bread it makes sense. Take time to click through to Red Star Yeast, they have a great site and if I make any bread not only will I use Red Star yeast but I will use the site for advice. At any rate, I have a thick skin and developed my own opinion making capacity a long time ago. Don’t think I was mad or my ego was bruised but, I do look up to this guy and value his advice…he has helped me more than I could say. As I drove away with my new $50 bag of goodies and REAL yeast, I couldn’t help but play the conversation over in my head and remember other tidbits from other “mentors”. The truth is for every brewer taking the high road with real yeast (a sort of brew snob), I can find a brewer who touts the virtues of bread yeast. In the beginning, yeast was yeast and you used what you could get your hands on. As I see it, the benefits of brewer’s yeast is the possibility of 2% more ABV and a clearer wine. I find the benefit but I can already crank out a 14% ABV product that I really feel tastes good. The proof can be seen in empty bottles friends and relatives leave when they visit along with their ever popular question. Which really means have you bottled anything lately or do you have anything fresh? In reality half the time I drink it before it is even racked (cloudy coment shot down!). Not to mention I can get Flieschmann’s bread yeast at half a dozen grocery stores seconds away from our house. The bottom line is, I will probably buy brewer’s yeast again but I will also buy more Flieschmann’s bread yeast. What yeast you use is really a personal choice! Do what feels right and produces something that gives you that I made this and it is good feeling. For my wife and I wine making is about sharing a hobby and time producing or enjoying our wine together. It is about doing for ourselves, kinda doing it old school like a time in history where most families produced their own beverages in the basement or root cellar. I will admit, we like making our own bread and I am gonna give Red Star a try! No harm done though, I will return to see my secret mentor. I love the guy and won’t hold being a wine snob against him he does have several ribbons for his batches! But maybe I will bring him a bottle of my clearest bread yeast cider and not tell him Flieschmann’s came anywhere near the carboy to see how he thinks I am doing. Continuing on with a new found inspiration for experimenting, we decided to mix some things up in our house cider recipe. One of the things I love most about wine and cider making is the experimentation. Just when I get it right I love to try and make it better. The trouble being, you just don’t know if you did right or crashed and burned for like six weeks. I have been an advocate of using bread yeast since the beginning. I like being able to pick some yeast up at the grocery store. Quick and easy. We also really enjoy the wine we make. I will write another post on yeast this week. 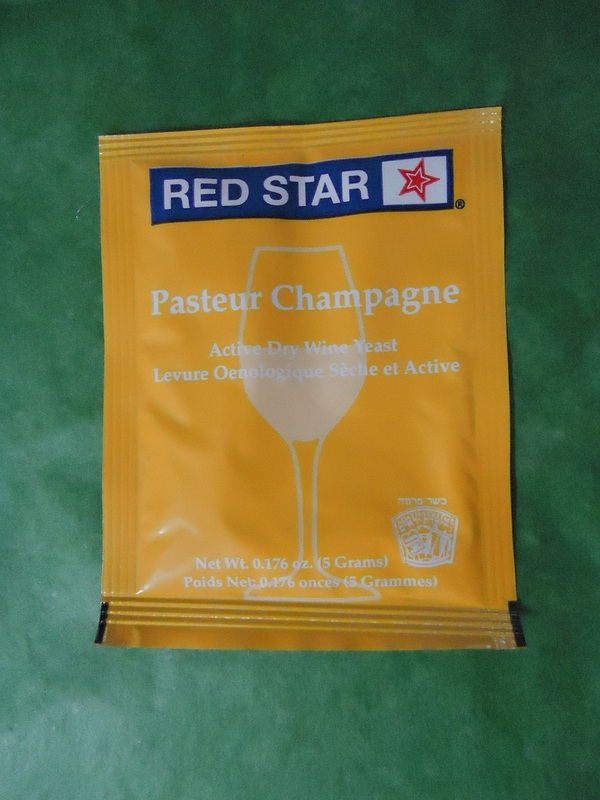 We choose the Red Star yeast “Pasteur Champagne”. 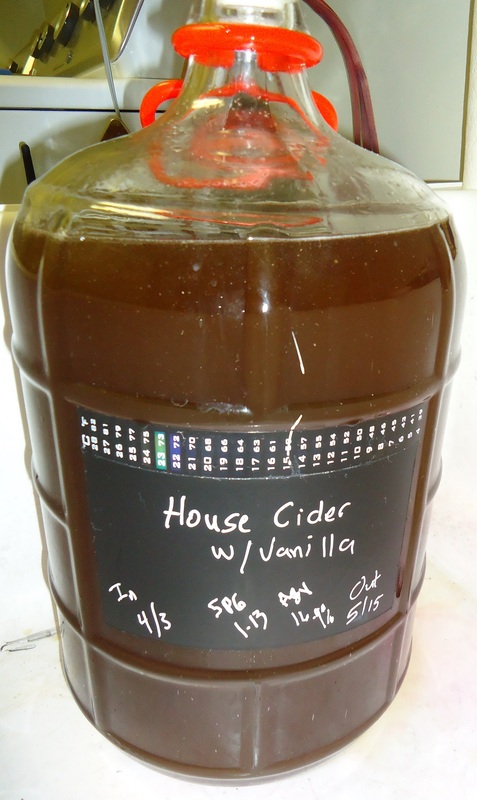 I have heard good things about the yeast and from my research most cider makers use it. According to my sources we should be able to produce a cider or wine around 16-17% ABV. 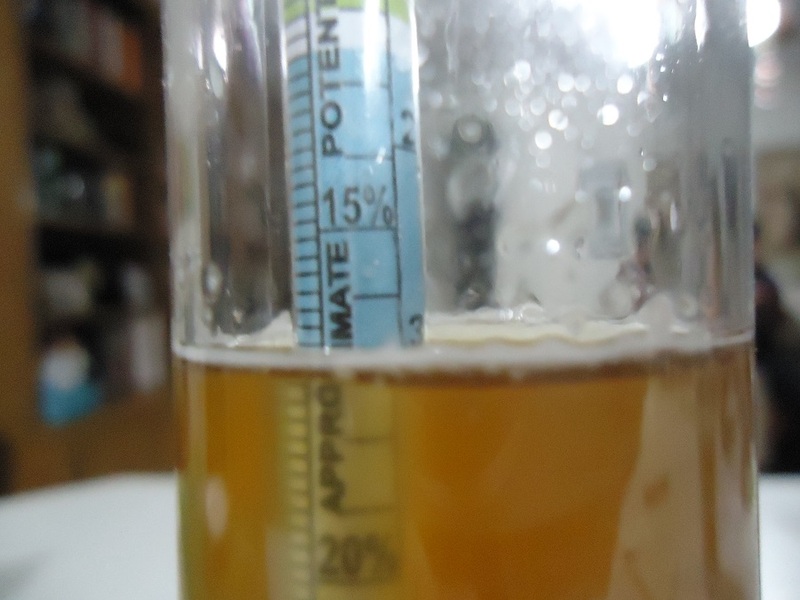 We have been experimenting with using a hydrometer to get some actual readings on our batches. Check out the before reading! 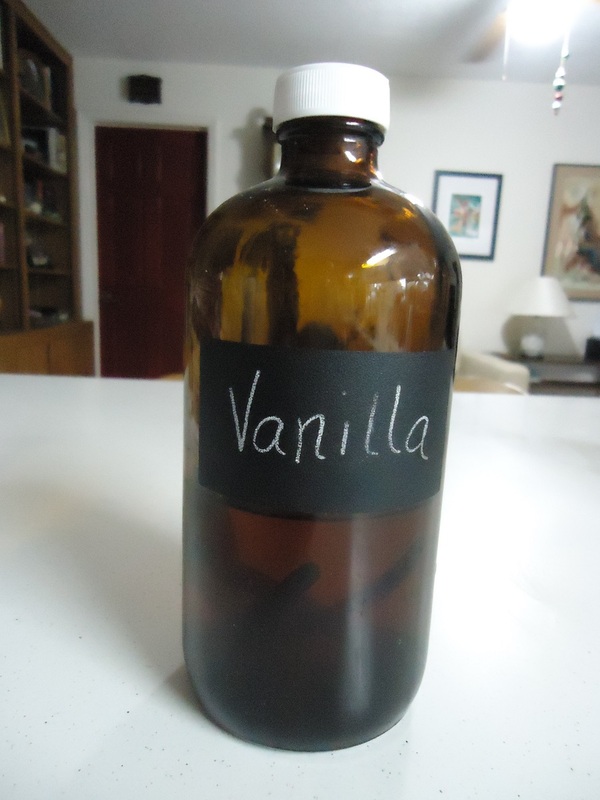 The other tweak we included was using homemade vanilla extract. My wife started making our own extract a little over a year ago and I love the flavor of it. The decision to use it was part flavor and part pride of using an ingredient we make here at home. As always we will let you know how his batch turns out through the stages…brew, rack, bottle, enjoy! Update: I prepared the yeast as directed on the package. I think that was a mistake and though the prep used low heat (lower than 100 degrees) I believe it killed the yeast. After about 12 hours the carboy had no bubbling activity. I decided to add another envelope of the champagne yeast directly to the batch. 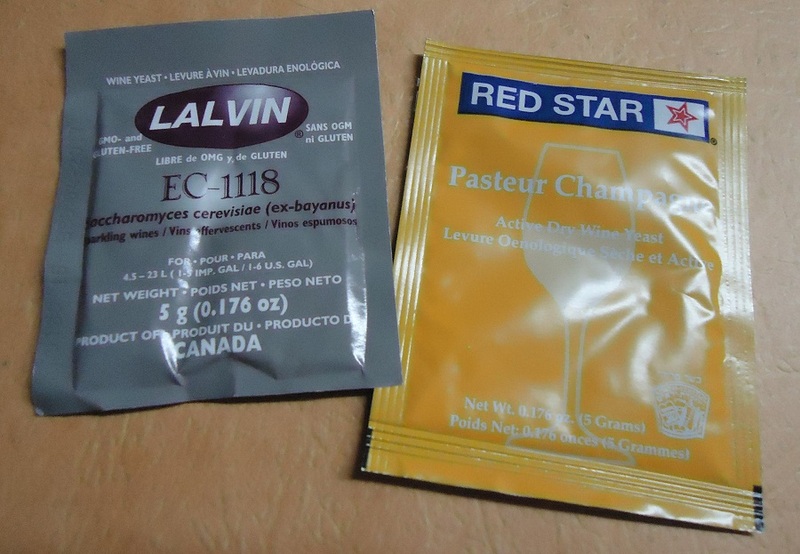 The champagne yeast is slower and not a vigorous but I felt there was no activity at all. I wanted to salvage the batch if at all possible! I think I made the right decision…after 12 hours I had large bubbles forming; very slight bubbling in the air lock. One pop every 10-15. This morning I awoke to the beautiful aroma of my favorite reaction and the air lock was popping constantly…a dutiful pop, pop, pop. No pause.